I've started to work on the design of a seal for a friend. This seal is to be used on handmade soap. 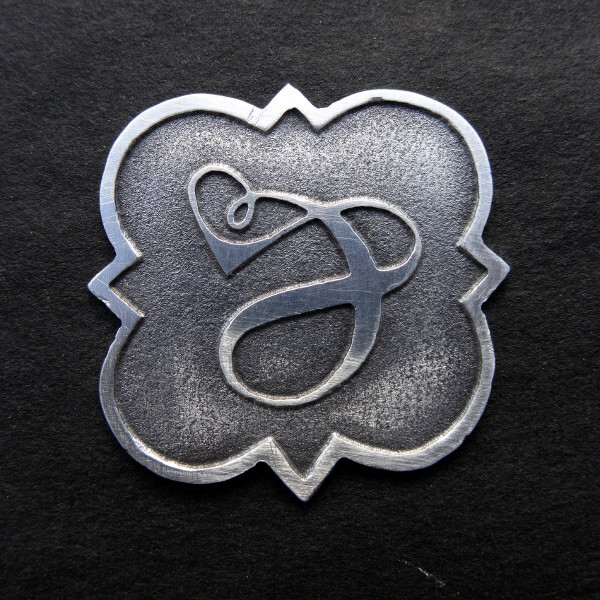 If I'm quite happy with the monogram, the shape of the seal needs to be reworked.